Have the time of your life in Western North Carolina’s Lake Lure and the Blue Ridge Foothills, famous for its starring role in the film “Dirty Dancing!” The quaint towns of Rutherford County are conveniently located between Charlotte and Asheville, and just an hour north of Spartanburg, making it the ideal springboard to a bevy of regional attractions. 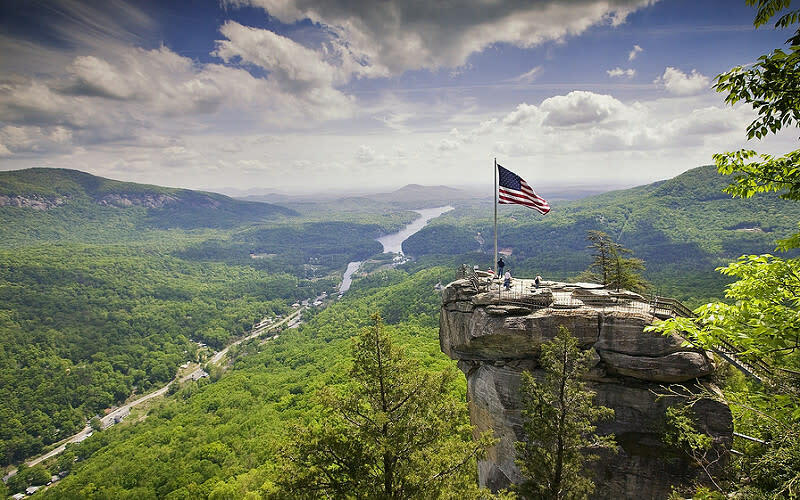 With outdoor adventures, scenic driving tours and iconic landmarks like Chimney Rock State Park, we invite you to unplug from your daily grind and recharge your mind, body and relationships. When people envision an idyllic Western North Carolina small town – historic inns, flourishing shops, corner cafes, striking mountain vistas, cold mountain streams, genuine hospitality and farm-to-table fresh food - they envision Lake Lure and the Blue Ridge Foothills. 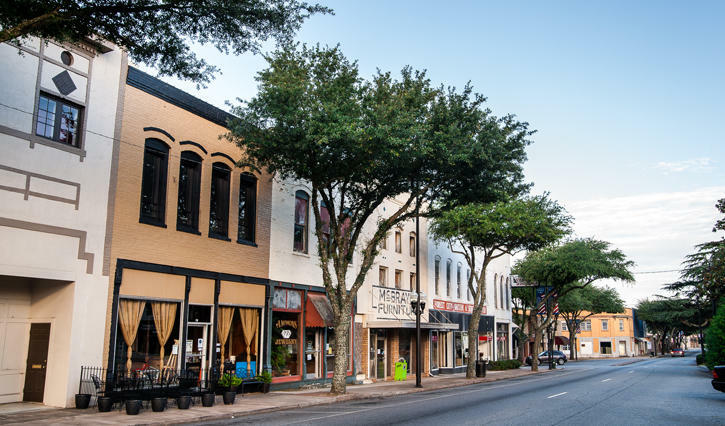 It is the granddaddy of small town charm, with bustling main streets and miles of rolling countryside as folksy as a vintage North Carolina postcard. In fact, next to walking and hiking, one of the best ways to experience this area is with your own car. Whether it’s meandering along our scenic byways with their show-stopping vistas and panoramic lake views, making a stop at a local winery, or taking in our distinctive history, one of our Rutherford County Driving Tours will surely immerse you in our authentic small town culture. To get started, check out the Cherry Bounce Trail, with over ten different points of interest covering 46 miles. And because we know that where you rest your head cushions your overall experience, our variety of lodging options meet every preference and budget. From bed and breakfasts, historic inns, and vacation rental homes to cozy cabins, lakeside lodges, name brand hotels and even a resort, there’s no charge for our friendly service and helpful spirit. Once you’re settled in, it’s time to tackle that itinerary. 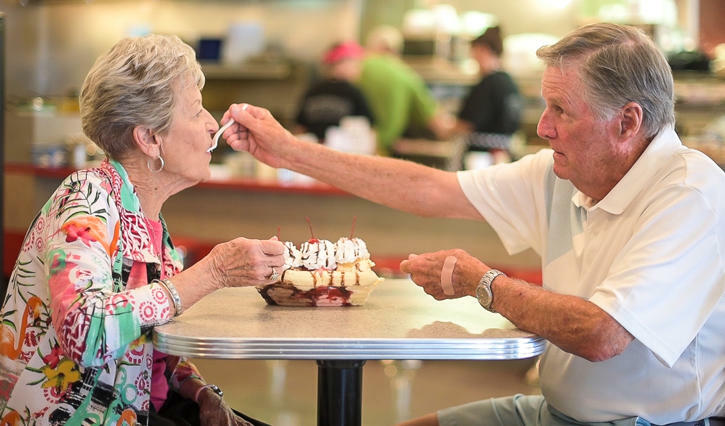 Whether it’s as unfettered as a boat tour on Lake Lure or watching the kids play at KidSenses Children’s Museum in Rutherfordton, or as thrilling as a treetop zip line ride or a concert at the Foundation Performing Arts & Conference Center, the choices are endless. Throughout the county, there are numerous parks, trails and walking paths, ranging from gently sloped to vertically challenged. If you want to experience some of our region’s backcountry up close, head over to Buffalo Creek Park in Lake Lure. Hike it, bike it or just stroll along at your own pace to get totally distracted in the gorgeous scenery that surrounds you. 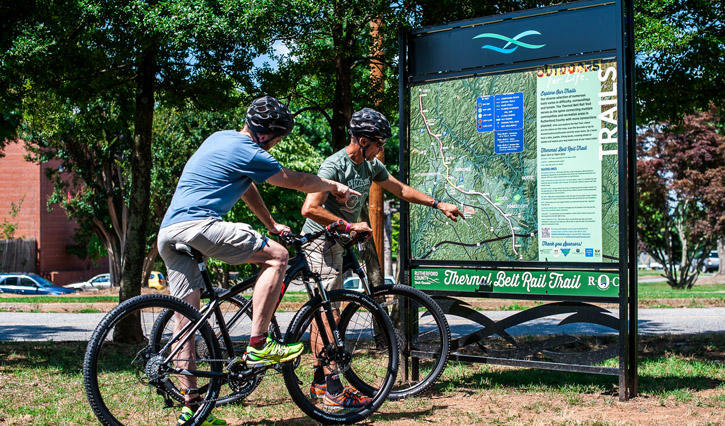 Other great options include the Rocky Broad Riverwalk in Chimney Rock and the Thermal Belt Rail Trail that traverses three towns in Rutherford County. No matter what activities you choose to enjoy, you will work up an appetite! And since this is the most scenic part of Western North Carolina, it’s easy to enjoy a heaping spoonful of pretty scenery with just about any meal. From farm fresh and seasonal to fast food with a twist, you’ll be able to fill your eyes with beauty and your stomach with great food. 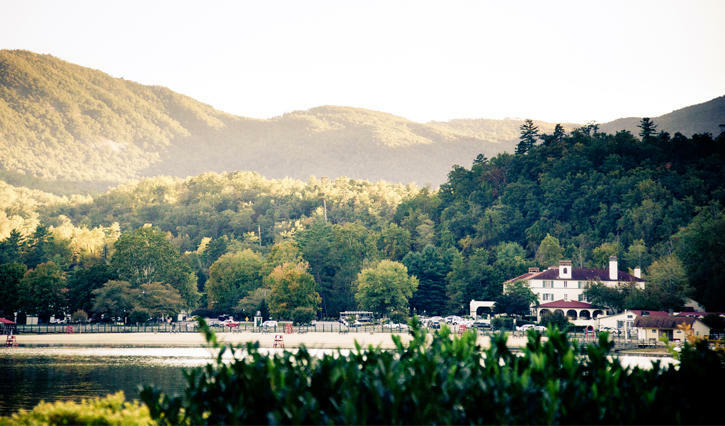 Whether you’re here for a day or a week, no trip is complete without a little bit of shopping in Lake Lure and the Blue Ridge Foothills. 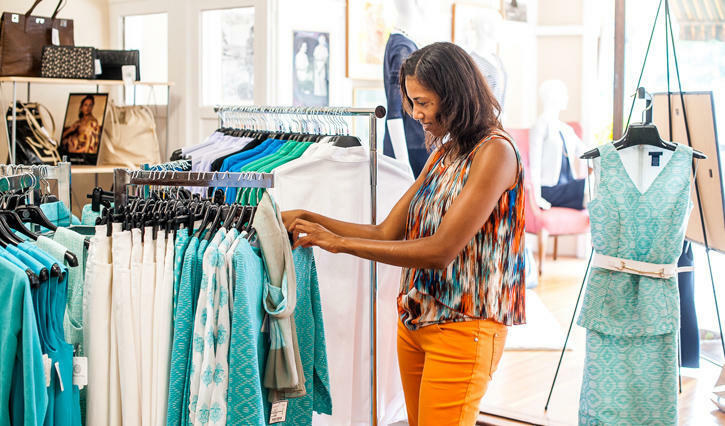 Peruse the funky, homegrown stores and boutiques along our Main Streets and be sure to check out the side streets, too. Each signature shop features its own essence and plenty of exceptional finds. Our region’s artisans - jewelers, sculptors, woodworkers, painters and craftspeople, offer a plethora of choices for one-of-a-kind souvenirs and gifts. Explore antique shops and consignment options, too. You&apos;ll find up-cycled art and home decor in abundance. To plan a trip as unique as Lake Lure and the Blue Ridge Foothills, take a look at the Rutherford County, NC Travel Guide. You’ll experience journeys like this one and much more when you visit Rutherford County, North Carolina located in the majestic Blue Ridge Mountains and Foothills, home to Lake Lure, Chimney Rock, Rutherfordton, Spindale, Forest City and Bostic. Start planning your visit to at www.RutherfordTourism.com.